We’re living in a very competitive world today and the major question is how do you stay up front of the curve? You could say you have the best product but others say the same thing too. How can you truly differentiate yourself from the rest of the guys out there? 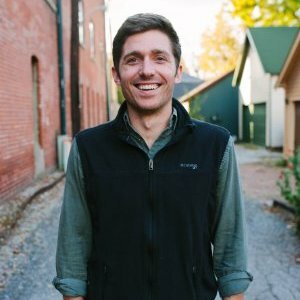 Today, I’m talking with Conner Burt, the COO of Lesson.ly, a learning automation software that helps client-facing teams boost their productivity and he share with us one of their company’s best practices that keep them ahead of the pack by bringing in humanity in sales. Serves as a bedrock defense that if everything else goes wrong in the day and they’re hundreds of competitors in the space, you could still raise your hand and say you did it the right way. Recognize that you have a problem if you do or recognize if you’re doing it well. Recognition is the first thing to keep your eyes on. Think about how you can get better at this. Be an expert in your space. You have to understand your products and how they’re implemented. You have to understand the impact it has for the prospect. Without baseline expertise, it’s going to be hard to go above and beyond. Treat others the way they want to be treated (as opposed to treating others the way we want to be treated). You don’t know everything. You’re learning just as the prospect is. It’s okay to say that you don’t know. Have an empathetic mindset that the prospect has fears. Attack it if it’s the right opportunity but turning deals away if it’s not the right fit is when humility comes in the most. Nobody learns anything the first time. You can’t just bring this up once a quarter. Coaching about this has to be part of your regular cadence of one-on-ones. Give sales reps the right to say no. Give them the freedom to turn away leads when not the right fit. Coach them on what “good” looks like. Be a therapist, not a doctor. The key to the sale lives within the person walking in the door. Ask such good questions that the prospect knows you get it or your business. Take a pause and ask the next deeper question. Get the answer that is 2-3 layers deeper. Be a therapist, not a doctor. 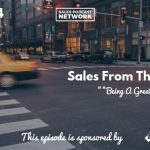 Figure out how it leads to your human element in sales and how that leads to your personal differentiator. At the end of the day, you want to be the person where the prospect is calling you and asking you more questions because you’ve cemented yourself as their therapist. But you have to earn that right over time. Connect with Conner on their website Lesson.ly or send him an email at conner@lesson.ly.